We Lab members are truly fortunate. We get to watch a top online cash game player, Fried "mynameiskarl" Meulders, play some serious poker, and then we get to pick his brain afterward to further increase the edge we have on our opponents. But even if you aren’t a Lab member, you’re in luck because you're about to get 5 valuable insights from one of Fried’s recent Play & Explain sessions. These will help you play better in multiway pots, understand when it’s correct to bet for protection, and more. If you already a Lab member, you can watch the full 32-minute session here. If you are not a member, you can join the Lab here. One leak many inexperienced players have is over-relying on heads-up display (HUD) stats. Sure, a HUD is an extremely useful tool to gain an edge over your opponents. But HUD stats have their limits. Fried called a min-raise from the big blind against a UTG open and the action checked through on the A-K-9 flop. This specific opponent folds to probe bets 69% of the time, as highlighted in the image above. Editor's note: A probe bet is when you bet into a player who had an opportunity to c-bet the prior street, but didn't. Learn more about probe bets here. Even though this is an extremely exploitable frequency, it does not mean the UTG player folds 69% of the time on every board. If you think about this specific spot, the UTG player can have many hands that will call a turn probe, as he will naturally check back on the flop with a bunch of A-x and K-x hands. So, even if he normally builds his ranges poorly, in this specific spot he will naturally play pretty well. In the end, for the reasons just explained, Fried decided to check and fold when the UTG player made a delayed c-bet. The lesson here is to focus first and foremost on the specific spot, and then, when the decision is close, use the HUD to sway the decision one way or the other. When you open-raise, get a caller, and have to play out of position, you need to check a lot. This happens because the in position caller has a much tighter, stronger range. Your strong hands are part of an 18% range, while your opponent’s strong hands are part of a 4% range. This means that his range is much denser in strong hands. In this case, Fried noted that we should check with the stronger A-x hands in our range, such as AQ, even though it might be tempting to bet. With his specific hand (AJo), Fried opted to c-bet small (2.3BB into 7.2BB). The lesson here is to check stronger hands than you are used to when playing out of position as the preflop raiser. Fried’s next insight came during the same hand. As you can see in the graphic above, the SB is tagged with a green color. That means he is a weak player. 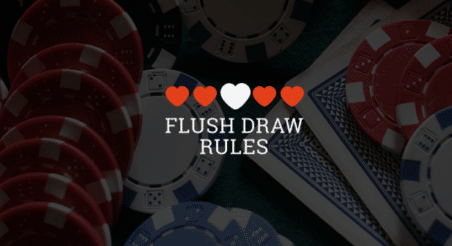 Against weaker players, generally speaking, Fried notes that you should deviate from a GTO style by betting thinner for value with fewer bluffs. So, even if we check with the strong A-x against 2 good regs, we would need to bet for thin value with hands like AK, AQ, AT when the weaker player is in the pot. Simply put, play A-B-C poker in pots with weak players. When an opponent has a polarized range, we should play a more binary strategy of calling and folding with very little raising. This is because such an opponent is likely to barrel the next street, which disincentives us from raising our strong hands. Raising with a strong hand would basically let his bluffs off the hook. But, in practice, this very often isn't the case. Many of you opponents will bet with a more condensed range (aka merged range). So, how do you think you should adjust versus these players? Click "Show answer" when you're ready for the answer. Raise immediately with strong value hands, and call or fold your draws depending on how you think your opponent's range is built. The action went as follows: Fried raised from UTG and both the SB and BB called. He then c-bet on the flop, the SB called and the BB raised. Fried called the raise, and was then faced with a roughly two-thirds pot sized bet on the turn. At first you might be tempted to just call, here, since you are in a way ahead-or-way behind situation. But, if you think your opponent won’t follow through with many bluffs on the river, then by calling you are just letting his draws and worse value hands realize their equity with no upside. Consequently, the best play here is to raise all-in, which Fried did. The BB responded with a fold. The lesson here is to deny a passive opponent’s equity when they probably won’t follow through with bluffs, and just try to end the hand right there. Learn more about equity denial here. When you first start out in poker you learn that medium strength hands should be checked. This is a very solid way of playing these hands. 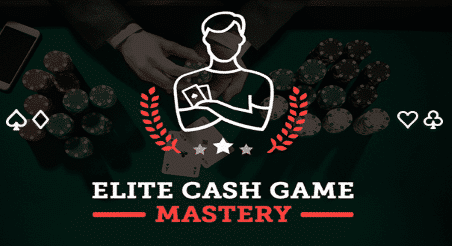 But as you move up through the levels you learn that there are some situations where betting a medium strength hand will make more money than a check. This hand benefits a lot from protection, as it can force a lot of 2-overcard type hands to fold, and you will also get to see two more cards for a relatively small price given that our opponent will not be check-raising very often (he has a 6% check-raise frequency on the HUD) and will not be donking on the turn. So, the lesson here is when you have a hand that is likely best but is nevertheless vulnerable, and your opponent is not going to raise often, you should lean toward making a small bet to protect your equity. As poker players we can always improve. Poker is constantly changing, and so we need to use every tool available to stay ahead of the curve. Watching Play & Explains, especially with a player of Fried’s caliber, is one of the best ways to do that. For full access to all 145 Play & Explain videos, you’ll need to join the Lab here! I hope you’ve enjoyed these 5 insights. As usual, if you have questions or feedback, don’t hesitate to use the comment section down below. Start Crushing Your Competition with the Upswing Lab Now!